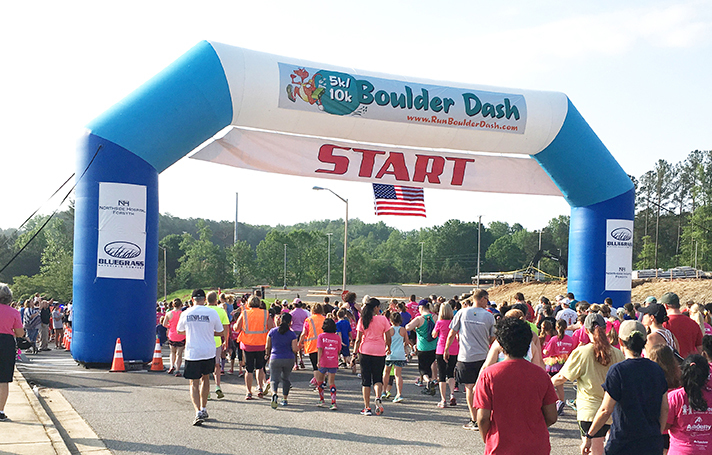 JOIN US for the 9th annual Boulder Dash 5K/10K Run/Walk on Saturday, April 28th! 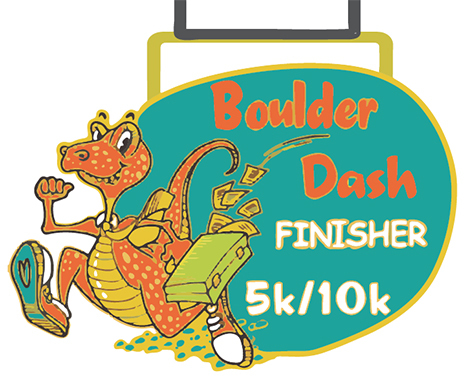 The Boulder Dash is a unique opportunity for you to meander through an environmentally responsible, operational hard rock quarry. 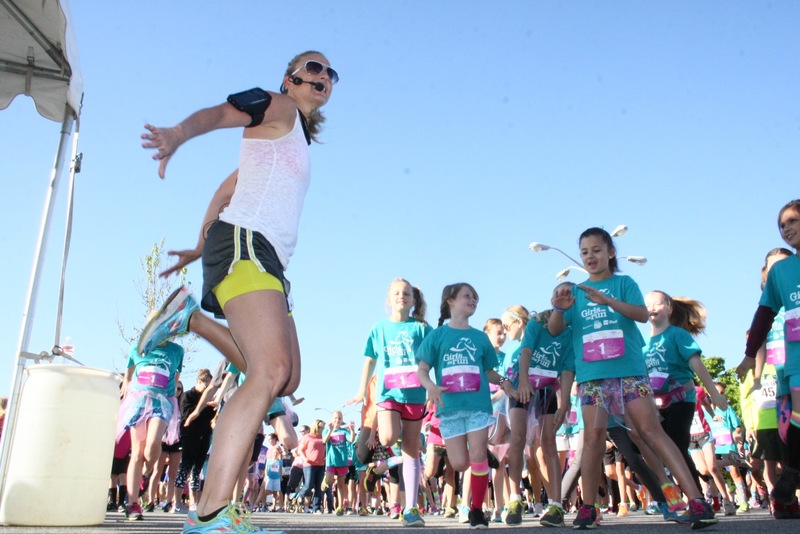 This is a race you don't want to miss! 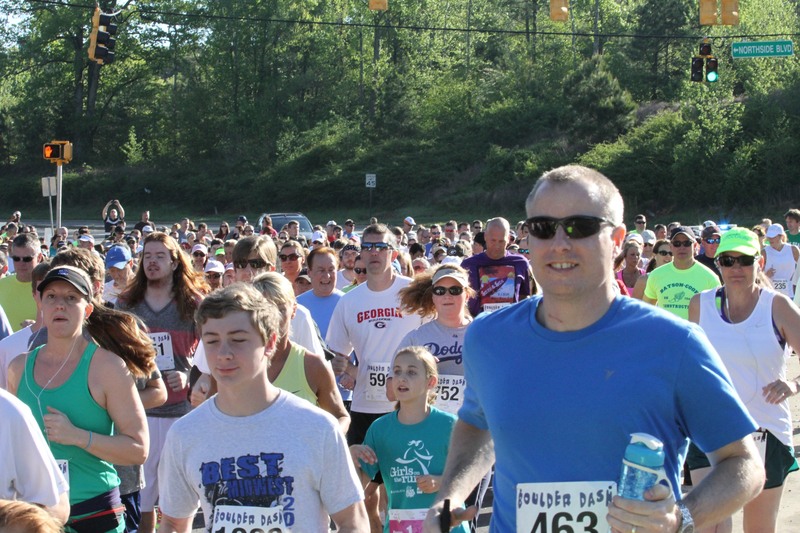 See the working quarry face, the ancient rock deposits, the massive equipment that processes it, and the natural surroundings as you take the challenge, and the Bluegrass Spring Fling awaiting you at the Finish Line! 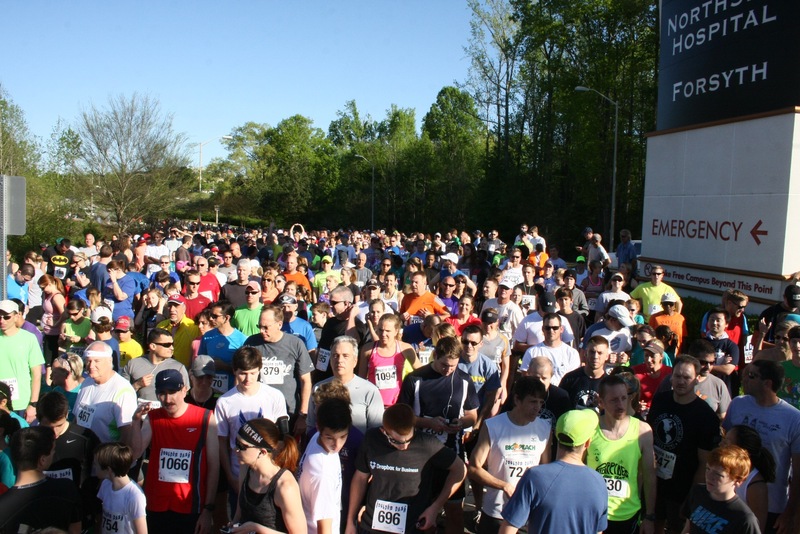 Race Day registration begins: 6:30 a.m. - 7:30 a.m.
5K/10K Race Start: 8:00 a.m.
Spring Fling starts at 9:30 a.m. 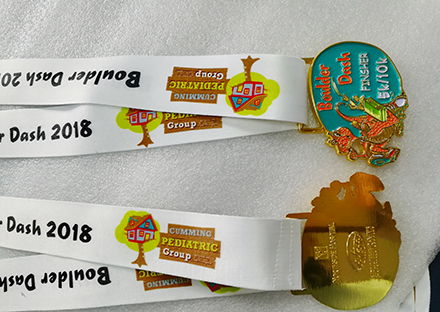 Overall Male/Female, Masters Male/Female, top three places in age groups for Male/Female: 10 and Under, 11-14, 15-19, 20-24, 25-29, 30-34, 35-39, 40-44, 45-49, 50-54, 55-59, 60-64, 65-69, 70 and Over. All pre-registered participants will receive a 100% technical fiber t-shirt. Take GA 400 North to GA 20 (exit 14). Turn right on GA 20, then take a right on Ronald Reagan Blvd. At the second traffic light, make a right onto Northside Blvd. Volunteers will direct you to the Women's Center Parking Lot (Yellow Lot) or to the MOB Parking Lot (Blue Lot). 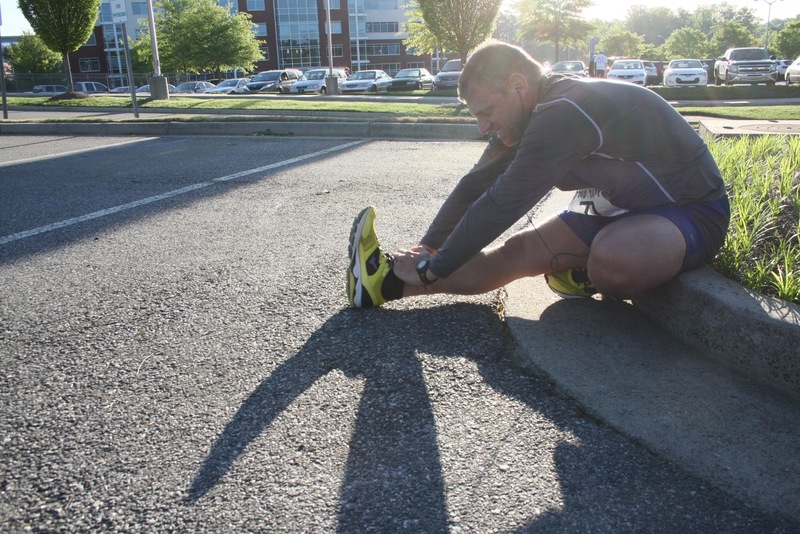 Buses will run on a continuous loop to transport you and all non-runners to and from each venue. All parking is at the Northside Hospital. Busses will be used to transport participants from the finish area back to the parking lots. Course Improvements: shorter hills; sand plant section; better view of equipment and quarry products; faster course! The course is still point to point from Northside Hospital running through the Bluegrass Quarry with packed smooth gravel surface and downhill to a flat finish. Participants will be able to view down into the quarry's pit and get up close to some of the huge quarry equipment in the post-race area. BRING THE WHOLE FAMILY! Come see Bluegrass's mining equipment and learn about the quarry. Enjoy food, beverages, music, prizes, family activities and much more!